At Glendale Dental Wellness Center, Dr. Robert Sue is proud to provide our patients with dental implants. With over 20 years’ experience in all aspects of dental implants, you can have the confidence your dental care will be handled confidently and comfortably. Dental implants are highly versatile and can be used to replace one tooth, multiple teeth, or even an entire arch! Many of our patients in the Los Angeles area also appreciate the fact that we can streamline the process by providing both the surgical phase (placement of the implant into the jawbone) as well as the restorative phase of the procedure (placement of the crown) in one convenient location. Why Choose Glendale Dental Wellness Center for Dental Implants? While other replacement options, such as bridges and dentures, are available to rebuild missing teeth, dental implants may offer you more convenience. They look and feel like your natural teeth and can restore your ability to bite and chew foods. 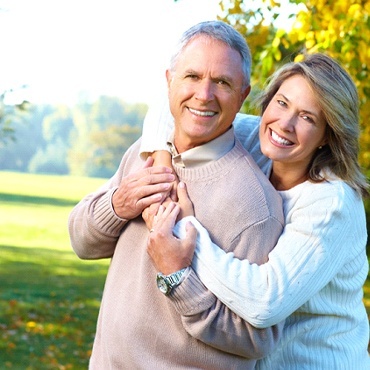 Additionally, dental implants offer incredible longevity and can last a lifetime. Dental implants are easy to care for, and you can treat them like your natural teeth, using a high-quality toothpaste for daily brushing. You should also floss around them regularly to keep them clean, just like with your own natural teeth. Thanks to their versatility, dental implants are ideal for many forms of tooth loss. It doesn’t matter if you need to replace on tooth or an entire arch – dental implants can make your dream smile a reality! Replacing a single tooth is a simple as placing one titanium implant and restoring it with a natural-looking porcelain crown. We use porcelain to ensure your new tooth properly blends in with your smile. With proper care, including daily brushing and flossing, it can easily last a lifetime of use. If you’d prefer to retain as much tooth structure as possible when replacing one or two teeth at a time, an implant-retained bridge is a perfect alternative to the traditional form. 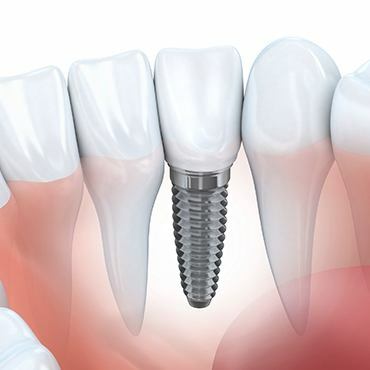 In this case, an implant is placed on either side of the bridge with a one to two crowns filling the gap in between. Dentures do not always have the shelf-life we’d like them to, but dental implants help them last. Instead of relying on denture adhesive or natural suction to keep your denture stable, four to six implants can be placed strategically throughout the mouth to ensure long-term function, easier chewing and a more natural-looking smile. 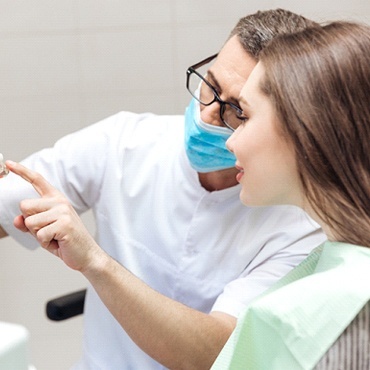 It’s quite common for dentists to only perform the restorative portion of dental implant treatment, meaning they refer most patients to a specialist offsite for implant placement. Because Dr. Sue has decades of experience and training placing implants, you don’t need to be referred out to another office for oral surgery here! Being able to perform each step of your implant treatment offers start-to-finish convenience, lower costs, and less time spent traveling from office to office. The moment a tooth is lost is the same moment that the alveolar bone holding that tooth in place begins to break down. This is because after a tooth is extracted, the root is no long stimulating valuable bone tissue. To prevent bone resorption and make dental implant placement easier, Dr. Sue performs socket bone grafting when it is needed right in his office. In most cases, he’ll recommend implant placement immediately following a tooth extraction to prevent deterioration of the jaw bone and help patients maintain their fullest biting force possible. It’s no secret that dental implant placement is a complex procedure. Due to the highly customizable nature of the treatment, the total costs can largely vary depending on your needs. Everything from the surgery itself to the type of restoration used can create varying levels of cost. That’s why it’s so important for patients to schedule an implant consultation with Dr. Sue first to discuss their needs. 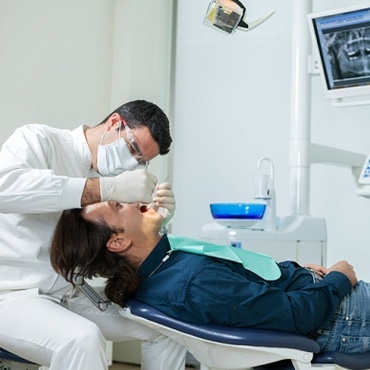 He’ll go over your current oral health and hear out your goals before creating a treatment plan that works for you. 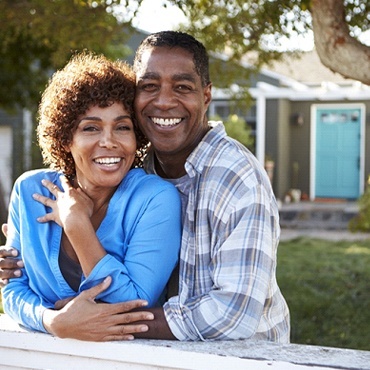 Keep in mind that dental implants are meant to be a long-term investment. On average, dental implants last anywhere between 25 years and a lifetime, which is not something that can be said of for traditional bridges or dentures, which require more upkeep and costs you may not be able to predict.